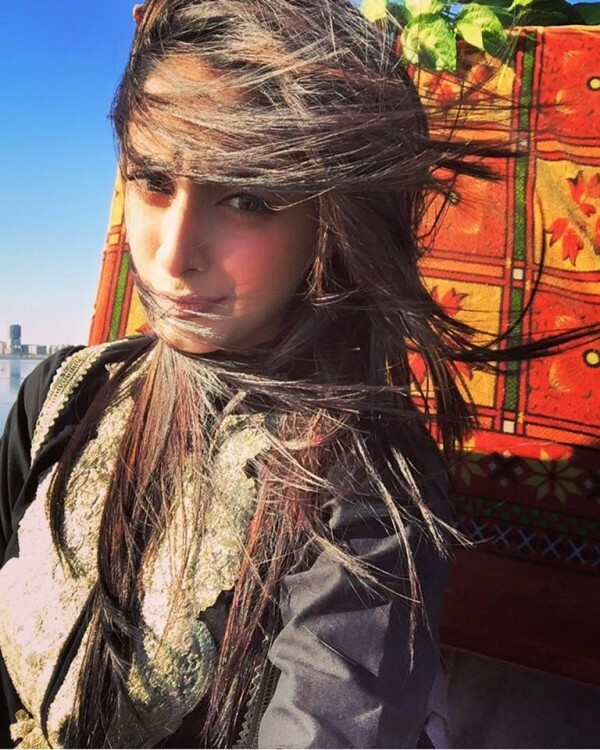 Sanam Chaudhry is a renowned Pakistani drama actress. People are fan of her cute and super-duper looks. 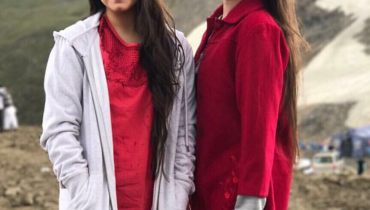 Her most famous drama serials include Aasmanon Pay Likha and Bhool. 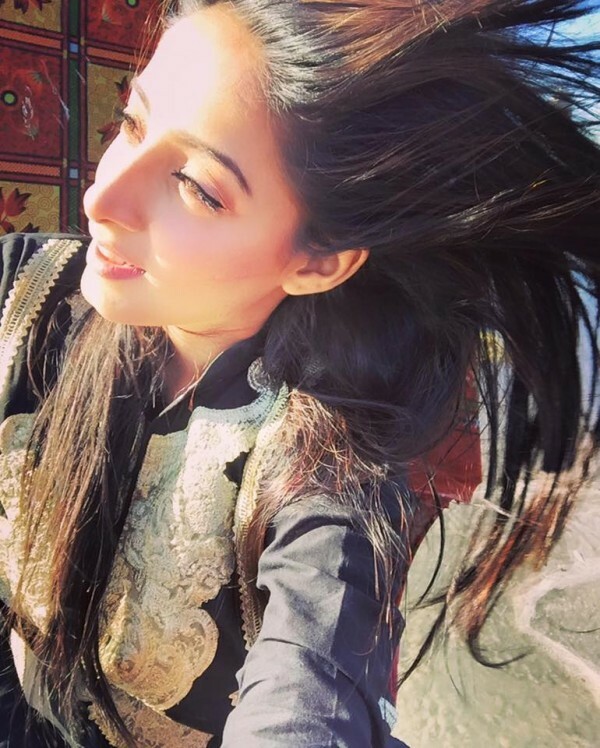 She was also nominated as the best soap actress at 3rd Hum Awards. 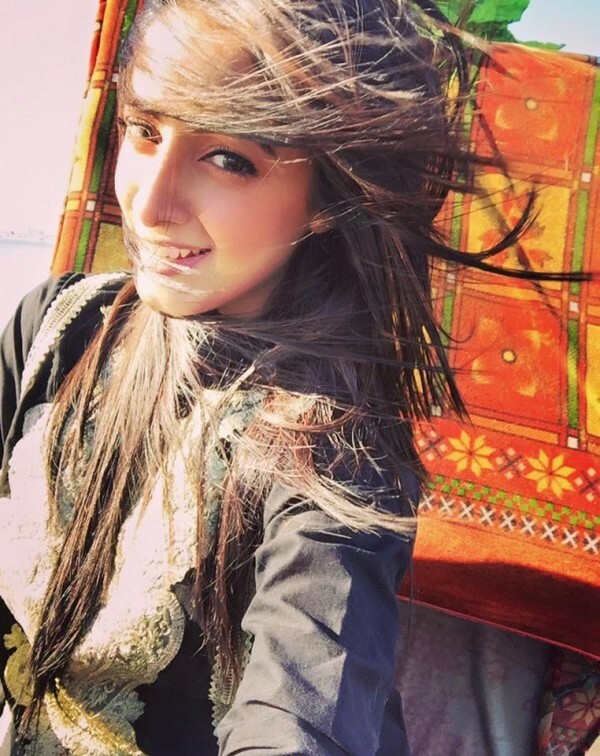 Sanam Chaudhry is among those persons who never miss picnics. 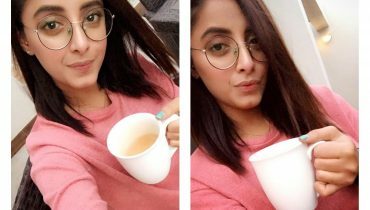 Sometimes she is spotted enjoying with her friends and sometimes she loves to enjoy holidays alone with her selfie stick! 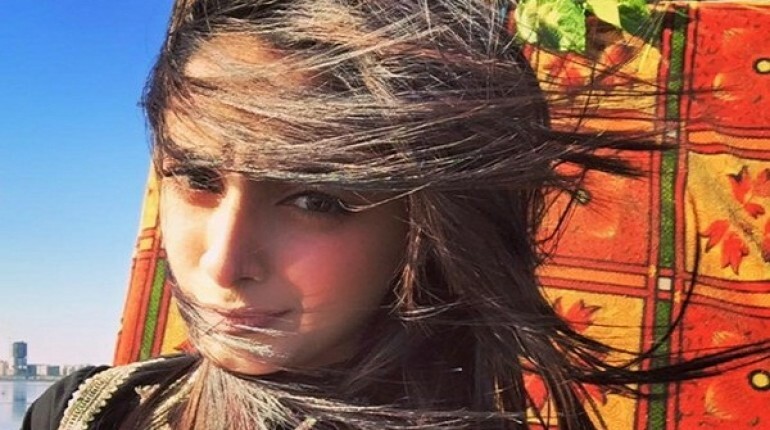 Recently, the 25 year old actress was seen enjoying a sunny day at HawksBay Karachi. 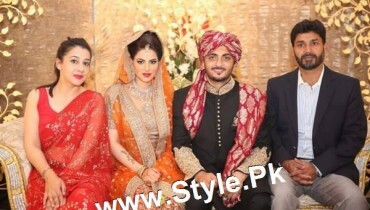 We mostly see her in western outfits but this type the actress was seen in a desi style, wearing a black kameez with pyjamas. 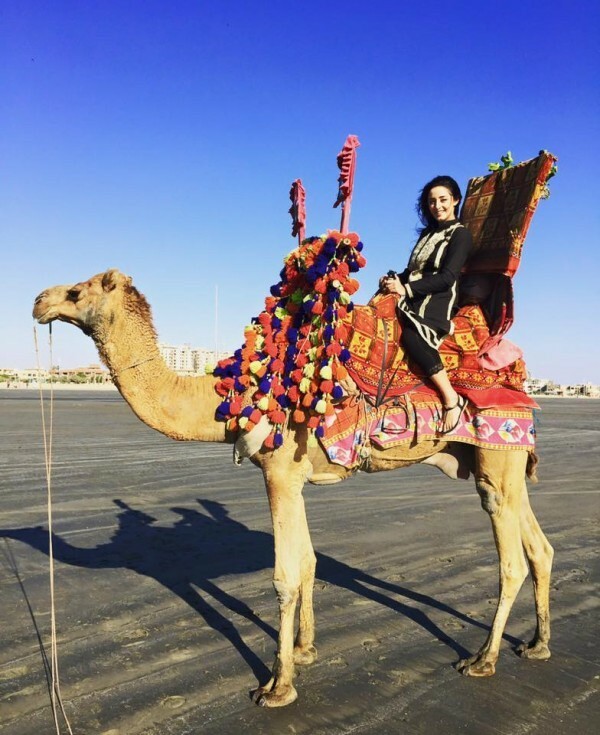 She looked spectacular and also enjoyed the camel ride. 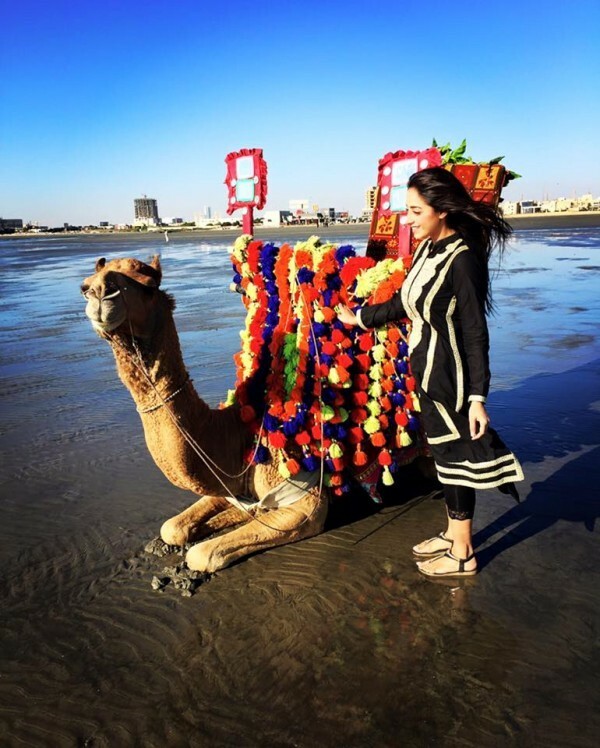 Here we are going to share some pictures of Sanam Chaudhry at HawksBay Karachi. 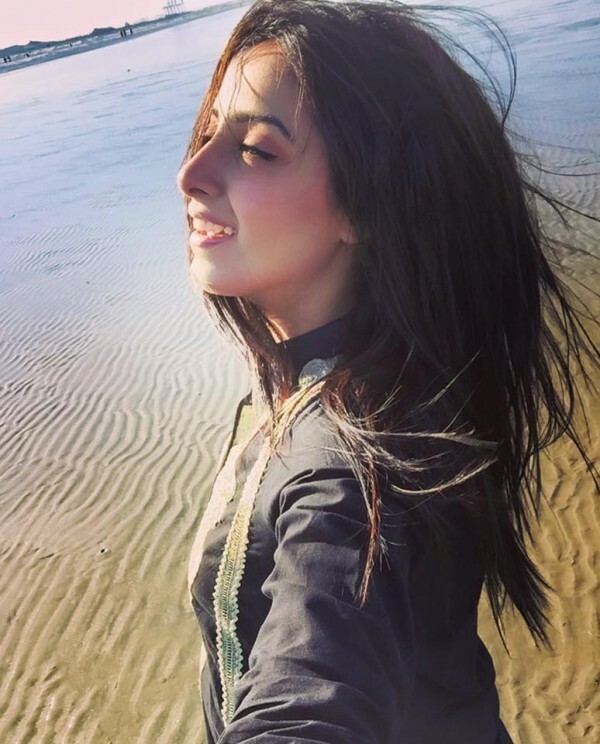 We hope that you will enjoy seeing the clicks of the young actress with a beautiful view of sea water behind.